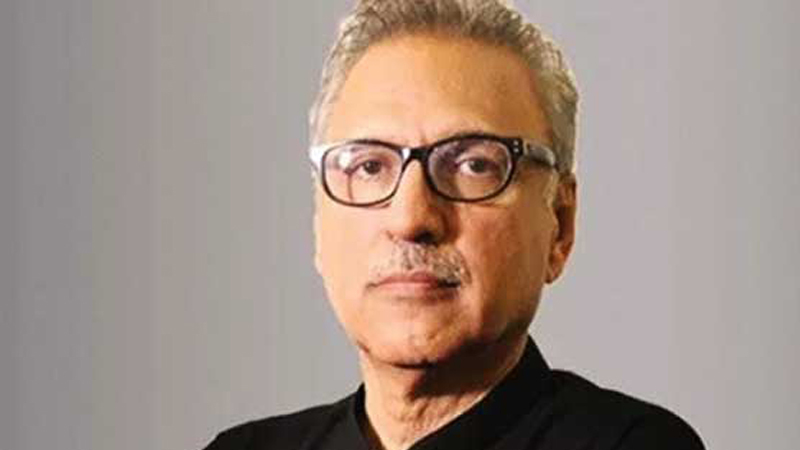 ISLAMABAD: Chief Election Commissioner (CEC) Justice (r) Sardar Muhammad Raza on Wednesday officially declared Dr Arif Alvi as the president-elect. According to the official results, the Pakistan Tehreek-e-Insaf (PTI) candidate was elected as the 13th president of Pakistan with 352 votes. Joint opposition candidate Maulana Fazlur Rehman bagged 184 votes and Pakistan People’s Party (PPP) candidate Aitzaz Ahsan received 124 votes. In all, 1,110 members of the National and Provincial Assemblies and the Senate exercised their right to vote. Earlier on Wednesday, Dr Alvi resigned from his National Assembly (NA) seat. Reportedly, his resignation had been sent to the NA Secretariat. The Pakistan Tehreek-e-Insaf (PTI) leader had contested and emerged victorious from NA-247 (Karachi) during the recently conducted general elections. Dr Arif Alvi: 212 votes (NA and Senate) 45 (Balochistan Assembly), 41 (Khyber Pakhtunkhwa Assembly), 33 (Punjab Assembly), 22 (Sindh Assembly). Fazlur Rehman: 131 (NA and Senate), 25 (Punjab Assembly) 15 (Balochistan Assembly), 13 (Khyber Pakhtunkhwa Assembly). It was reported that after the announcement of the official result, the federal government would notify the name of the successful candidate for the slot of president of Pakistan. “I have nothing in this, my affiliates made me contest the election,” said Dr Alvi after the elections, while expressing thankfulness. Dr Alvi said that “from today I am not just a president that was nominated by the PTI but I am the president of the entire nation and all parties”. “Each party has an equal right on me,” he added. “Within the constitutional parameters, I will try to extricate the country from the present trying time because I will not remain a silent president nor will I defend any party,” he said. “I will resign from all party positions soon after I am elected as president. First of all, I will get the drainage system of my home repaired because the water is standing in my bedroom. I will then move to president house to discharge my national obligations,” he added.